Database Systems Corp. (DSC) provides the technology to automatically broadcast school phone announcements using our automated calling service. 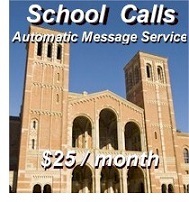 Call messages to students, parents, faculty and the community at large can be delivered quickly and at an affordable price. Phone messages can be simple call notifications of meetings or events. School calls can also be emergency alerts and warnings. Sending communications to faculty members, students and parents is now a much easier task with DSC's advanced calling systems and services. School announcements such as school closings due to inclement weather can be automatically broadcast to all or part of your community with the same, consistent message using our automatic message broadcasting systems. More importantly, missing students can now be reported immediately to parents or guardians using our automated phone systems. This can be a vital service not only to report absentees, but to notify parents of missing children in a more timely manner. DSC also provides a call reassurance program called CARE which can be used by communities and schools to call Latchkey Kids at home after school to ensure they got home safely when parents are still at work. 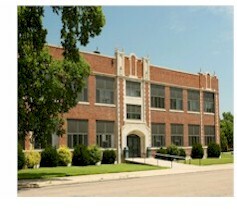 Contact DSC or visit our School Calls website to learn more about our school calling services. DSC now provides an online signup for schools and non-profit organizations. Setup fees are waived and the basic monthly fees are reduced if you use this convenient method of online registration. To register online, click on the online registration image to the right. Using our school calling service is easy and secure. Simply create one or more lists of call recipients offline and upload these list to your online account at DSC's website. Phone messages can be easily recorded using our 800 number service that lets you save numerous messages. Once you've signed up for our service, here's all you need to do. The University of Manitoba utilizes our school messaging services to notify school members and faculty in the event of any emergency that may arise including school closings, severe weather, or non-scheduled events. Contact DSC or visit our School Calls website to learn more about our school call notification services.